Bow Wow Appears to Angrily Argue in Elevator with Leslie Holden Before Battery Arrest: Report - Integration Through Media ....! Newly released footage appears to show rapper Bow Wow getting into an argument with on-off girlfriend Leslie Holden hours before they were both arrested for battery in Atlanta earlier this month. On Saturday, TMZ posted a surveillance video reportedly taken hours before their Feb. 2 arrest. In the video, taken inside an elevator at an Atlanta condominium, Bow Wow (né Shad Moss) appears to angrily approach Holden (who goes by the name Kiyomi Leslie professionally), and yell at her. During the video, which did not have any sound, the former child star, 31, also appeared to grab something from her. The pair, who star in Growing Up Hip Hop: Atlanta together, were accompanied in the elevator by two men, who got on and off with them. According to a 911 call previously released by the outlet, a woman who identified herself as Holden told police she had been hit by her boyfriend several times at his apartment. Lawyers for Bow Wow and Holden did not immediately respond to PEOPLE’s request for comment, nor did the Fulton Country District Attorney’s Office. The Atlanta Police had no comment. Bow Wow has previously claimed he was “wrongfully arrested,” alleging that during the incident, Holden “beat” him with a lamp. 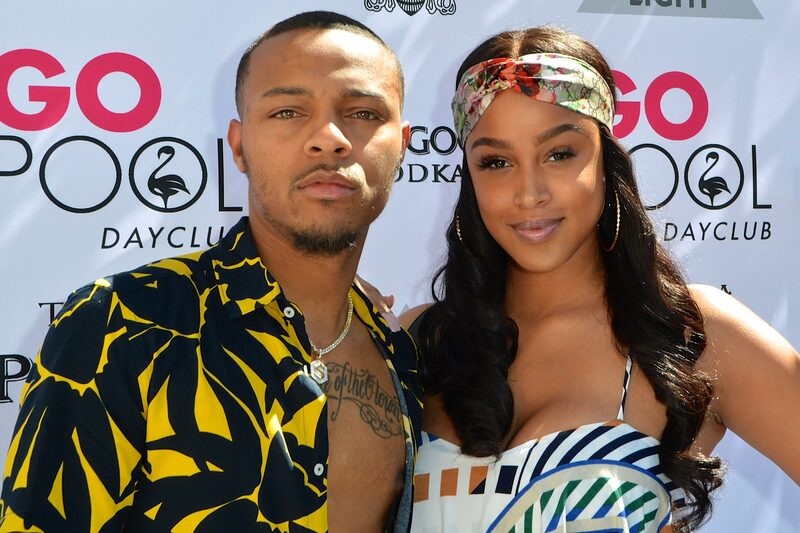 A public information officer with the Atlanta Police Department previously said that both Bow Wow and Holden claimed they were assaulted by each other during the incident. “Officers were unable to determine the primary aggressor of the altercation, so both parties were charged with battery,” read a police statement provided to PEOPLE. Both Bow Wow and Holden were arrested and transported to Fulton County Jail on Saturday. That same day, they were both released on $8,000 bonds. A public information officer with the Fulton County Sheriff’s Office also confirmed to PEOPLE that the former child star was charged with battery substantial physical harm, while Holden was charged with battery. Citing a police report, TMZ previously reported that both Bow Wow and Holden claimed the fight started because Bow Wow had gotten mad Holden was talking to another man at a party. Bow Wow is scheduled to appear in court on Feb. 20.